Submitted by ken on March 14, 2007 - 9:42am. A Lakota tipi camp near Pine Ridge, S.D. 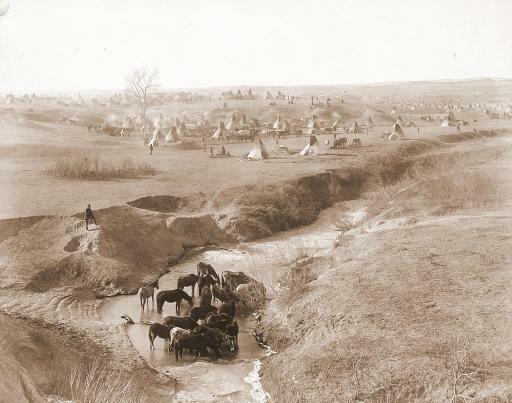 The horses in the foreground are drinking form the White Clay Creek watering hole. This image was copyrighted in 1891 by John Grabill.